I’m so excited to spend the entire month talking about Crystals! There are so many great ways to use crystals to manifest more quickly and more powerfully, and y'all know they're one of my very favorite healing tools. We're going to review some basics, but we're also going to dive into some new info and new crystal healing methods we've never talked about before!! January Focus: New Year, Dream Bigger. Welcome to 2019! This is going to be an incredible year for all of us. We'll be focusing the whole year on Manifesting, and what better place to start than with Big Dreams?! Before we get into details and start putting in the daily work of getting where we want to go, I want us to dream as big as possible. Remember all you accomplished last year? This year you're going to do even more, starting by believing that you CAN. There are many important reasons to take time to look back on the past year. Realize how far you’ve come in how many areas of life. Take time to celebrate it! Learn from any mistakes and challenges so that you manifest with ease in 2019. Realize how many people have helped you and take the time to thank them. Let go of anything that is still holding you back. Make room for your desires and dreams to come to you more easily and quickly. December is an incredibly busy time of year for all of us, so this month will be streamlined and tailored to fit into your schedule and still help you take big leaps forward before the end of 2018! November is the month that comes to mind when we think about gratitude. We set aside one day of the year to be particularly thankful for our family, our friends, our good fortune, etc. And yet this can also be a time that is extremely fraught with greed, stress, and unkindness. It’s enough to make you cynical about the whole concept of gratitude. But what a shame that would be! Gratitude is one of the most powerful emotions, and one of the best ways we can tell the Universe that we are ready for more Abundance. So this month we are going to look at Gratitude with fresh eyes and discover and use it’s full power to manifest love, peace, and abundance in all areas of life. You are most powerful when your mind, body, spirit, and emotion are all working together. This month we are going to focus on how to balance and align all four aspects of life, plus how to keep your time, effort, and energy in balance throughout all areas of your busy life through the upcoming holiday season. Week 4: I AM BECOMING - This week we're going to talk about the power of Affirmations. 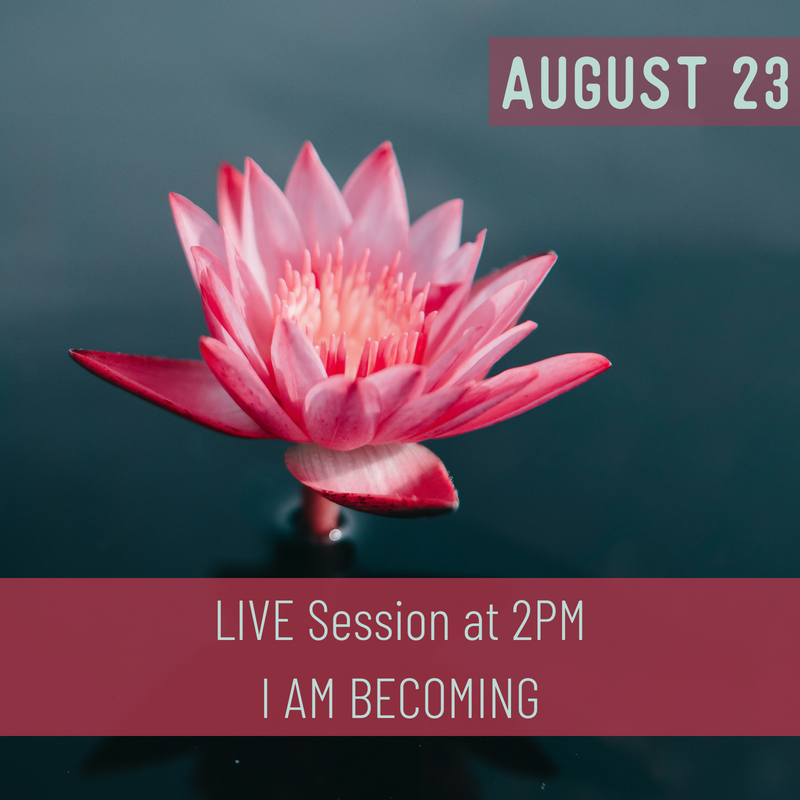 We'll also discuss the difference between focusing on I AM vs. I AM BECOMING. That one extra word can make a HUGE difference in your Confidence level! Week 3: Recipe for Success - One of the most basic aspects of Confidence is that sense that you know what you're doing and can predict the outcome of your actions. Join me Wednesday at 2PM to delve deeper into that Recipe of Success we mentioned in Week 1. What are the components of successful action? How can you simplify your thought process, decision making, and action taking to make them as efficient and effective as possible? Join me and find out! Week 2: Rewrite your Story - This week we're tackling Limiting Beliefs, those pesky thoughts that you've accepted as the truth. How do you decide when it's time to let go of those stories that no longer serve you in a positive and productive manner? And how can you rewrite the story you tell yourself about your potential for success? Join me and let's find out! 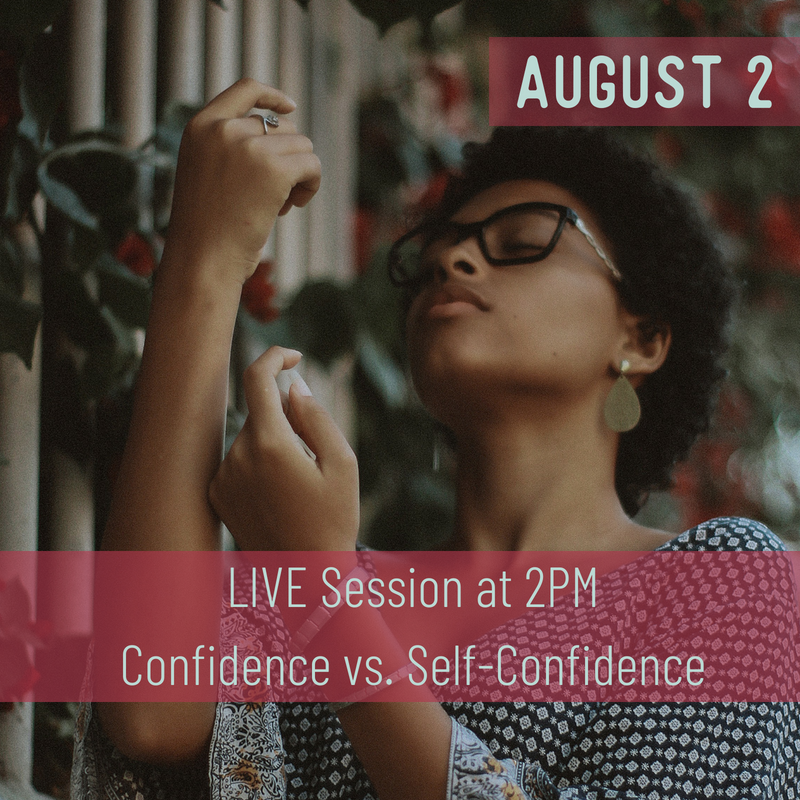 Week 1: Confidence vs. Self-Confidence - Join Erin to learn the difference between Confidence and Self-Confidence and how that will revolutionize the way you view yourself, your life, and your personal potential! Join us in our Membership Community Group on Facebook, where we focus on a new topic each month to help you grow and transform one step at a time. This month we're Building Confidence, not just in ourselves, but also in our understanding of how the world works and our ability to manifest positive outcomes.